Following some previous "internal issues" and lineup shifts, Wolfmother leader Andrew Stockdale has decided to break up the retro-rock group in favour of a solo career. Having recently set aside the Wolfmother name, the Australian songwriter has officially confirmed the details of his debut solo release, Keep Moving, which is due out in North America on June 11 through Universal. This is actually performed by the same band as Wolfmother, except now Stockdale is going by his own name. He explained in an interview with Spin that Wolfmother's lineup has been fleshed out with session players since 2009, so going solo was a natural transition. He noted that some of the new songs came together on acoustic guitar while sitting in his van or lounge. "It's like old-school, new-school, uptempo boogie rock," he previously said. "The tones are all there — vintage drum tones, vintage guitar, vintage looseness. It's like hearing an old piece of crap rock band squashed and blasted through some high-fi tape. The key to this whole record is to make it hold up to modern recording standards while still with the heart and soul of old rock records." The release plan for Keep Moving is slightly convoluted, since Stockdale briefly shared it on SoundCloud last month before quickly taking it down. 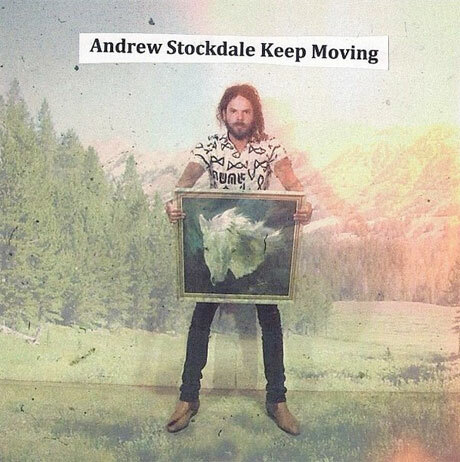 Keep Moving is also the name of a four-song EP, due out next week (April 30) in North America. The 14-song full-length, mixed by Vance Powell, will then follow in June. The opening track, "Long Way to Go," is streaming at the bottom of this page.